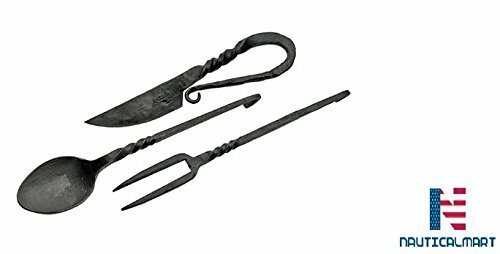 This Medieval Eating Utensil Set is made of carbon steel. All three items are approximately 7 Inch in overall length. The handles on the knife, fork and spoon all have a twist design with either a hook or a whole for hanging.